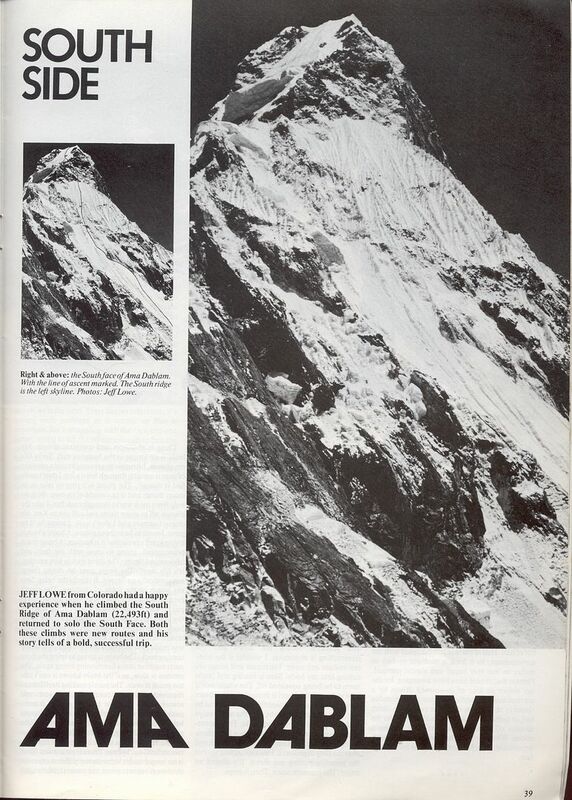 Three different views of climbing Ama Dablam in 1979 once it was opened up for climbing again. 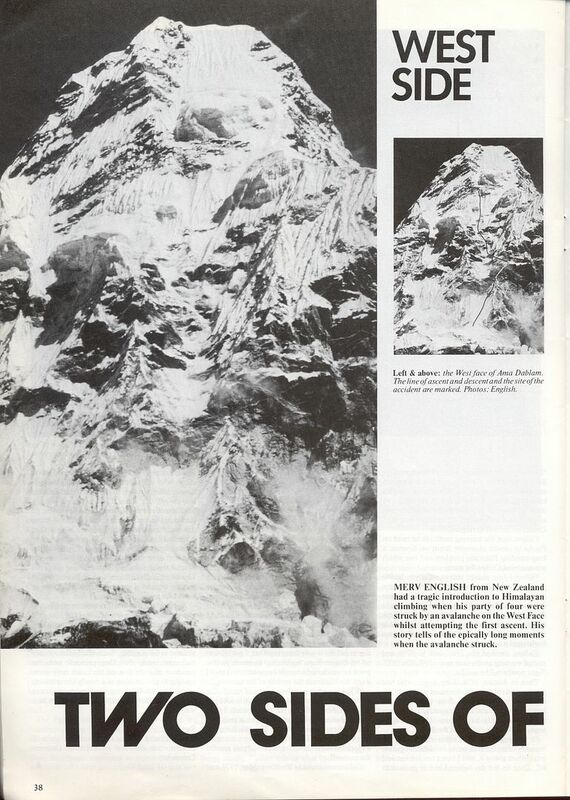 Tom Frost's account from Summit August-September 1979. Doug Robinson on mixed ground between Camps 1 and 2. Tom Frost photo. 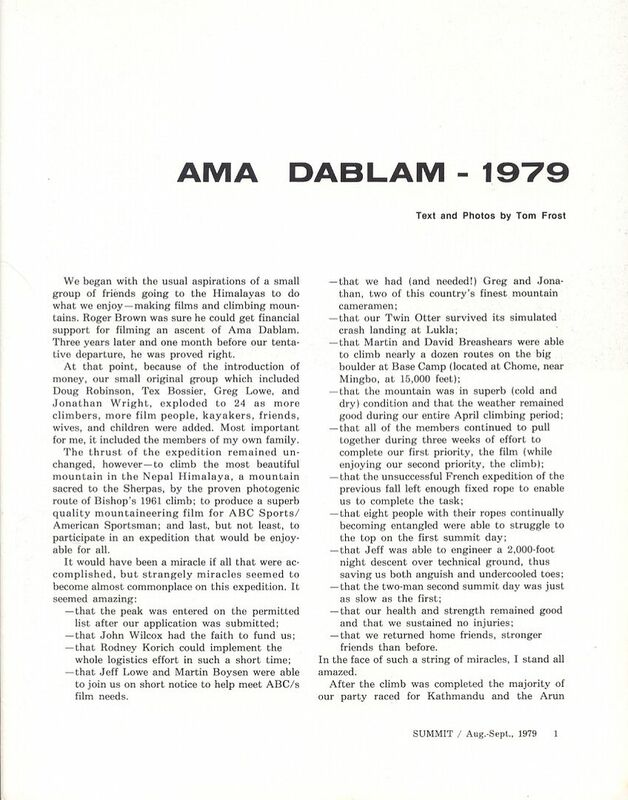 And two perspectives from Mountain March -April 1980. Awesome. I'd love to climb that mountain. 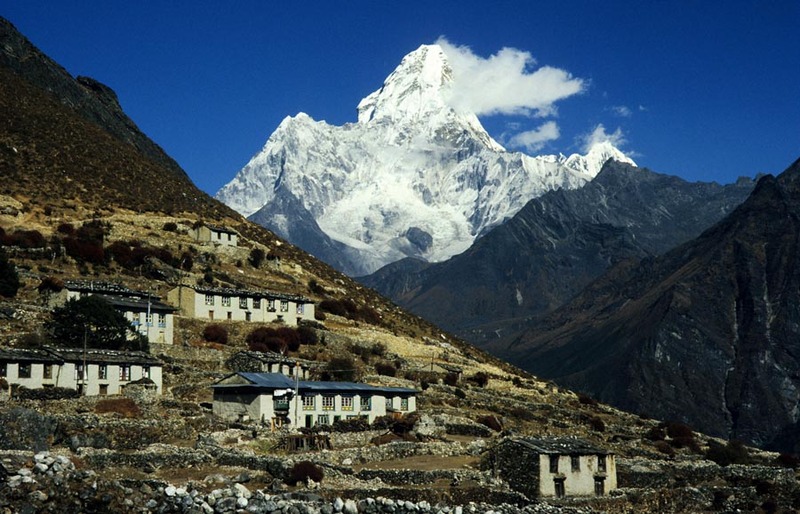 I'm interested in anything about Nepal, Khumbu, and Sherpas. 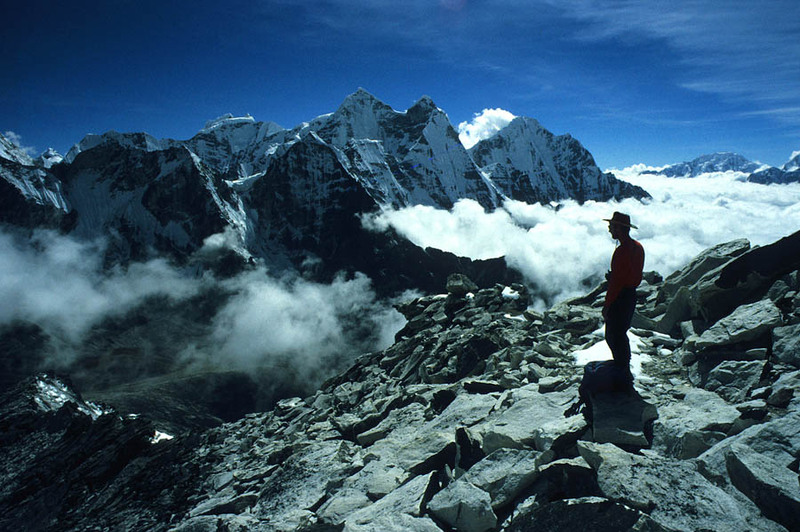 Jeff's solo adventure is truly inspiring and out there! I hope that he will join in. How many hook placements did they enhance? Steve: Thanks for posting up a great group of articles. I looked at the post on my first read ------and had "dejae vue all over again." 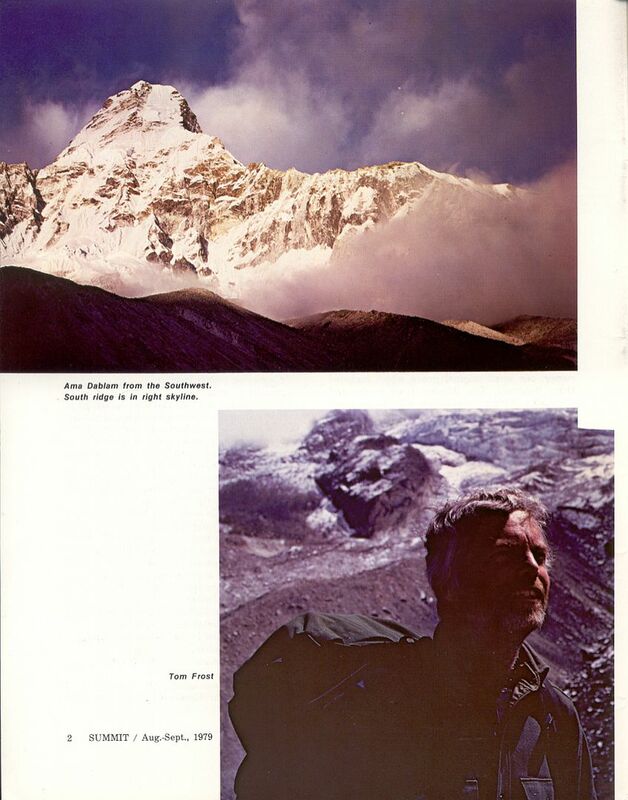 I had read the two articles from Mountain, while researching Royal Robbins ads, about a week ago. 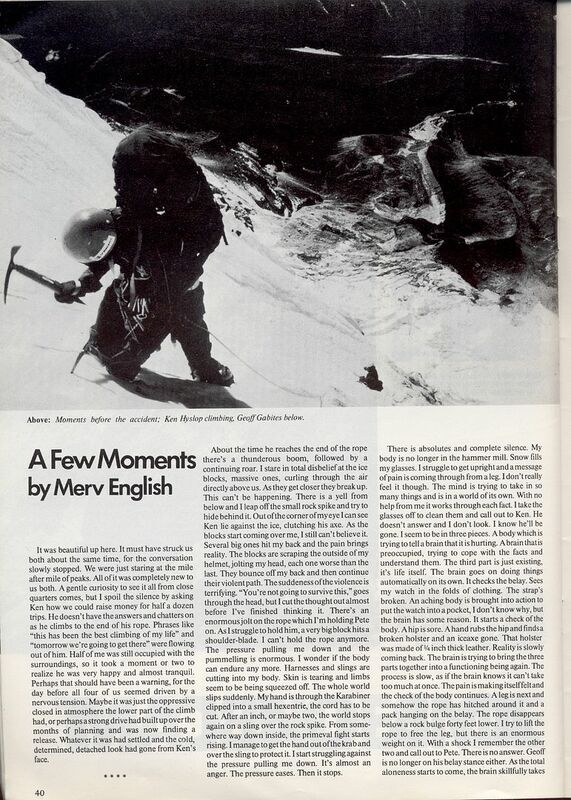 What's the odds that two Tacoites would be reading the same 1970's Mountain articles in such a short time-span? That Jello-----he was a "rope rocket." Hey Wildobeast. Keep your adolescent remarks within the WOS threads and stay out of Steve's historical contributions, unless you have something pertinent to add. You're like the heckler in the back of the classroom, who knows nothing of the current discussion. Right, this is history son, so pay attention. What an amazing mountain! Nice shots, Majid. Awesome! I remember raptly reading this stuff; too bad I moved too many times and always purged before each move. I left too many mags and catalogs and gear on the curb. 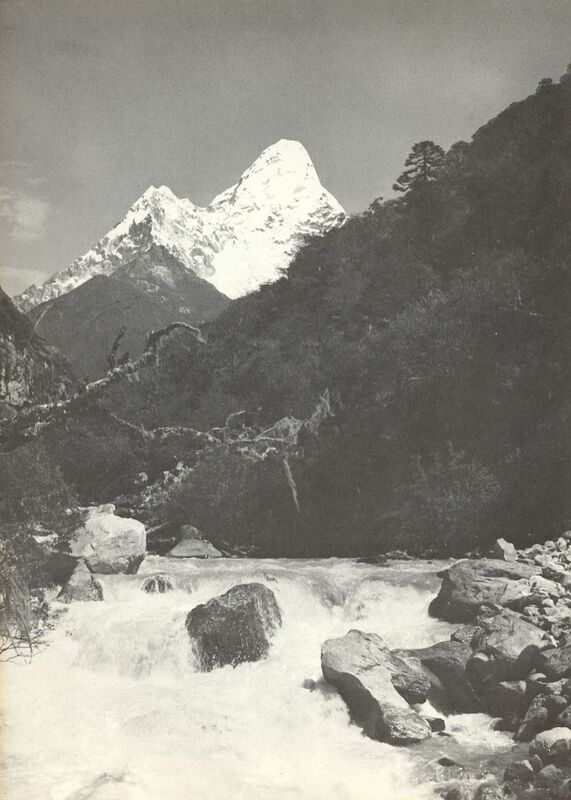 Jello's account of Ama Dablam is one of my favorite reads. 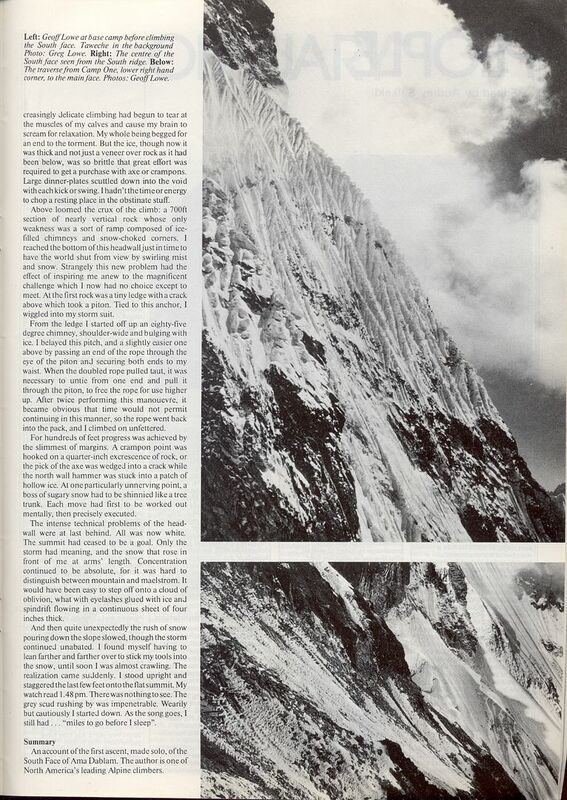 Another view from the Book of Modern Mountaineering edited by Malcolm Milne, 1968. We were there I think in the last season where it was possible to be alone on the South Ridge. 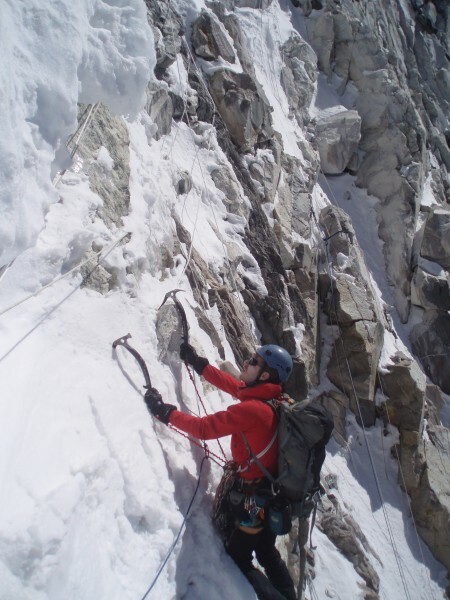 And we managed to climb the mountain in pure alpine style, not using the old fixed ropes nor sherpas above base. 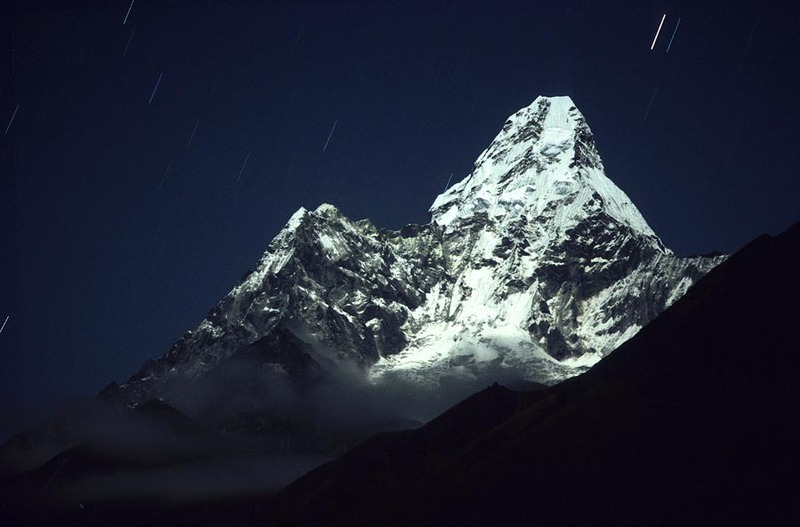 Well, my friends did; I ran out of steam at c. 6400 m and waited at the snow shoulder (the "Dablam") while they went up. One week later two more from our group reached the summit. A good trip! We even wrote a book! Michael- Fantastic adventure for your team! Thanks for sharing the photos. 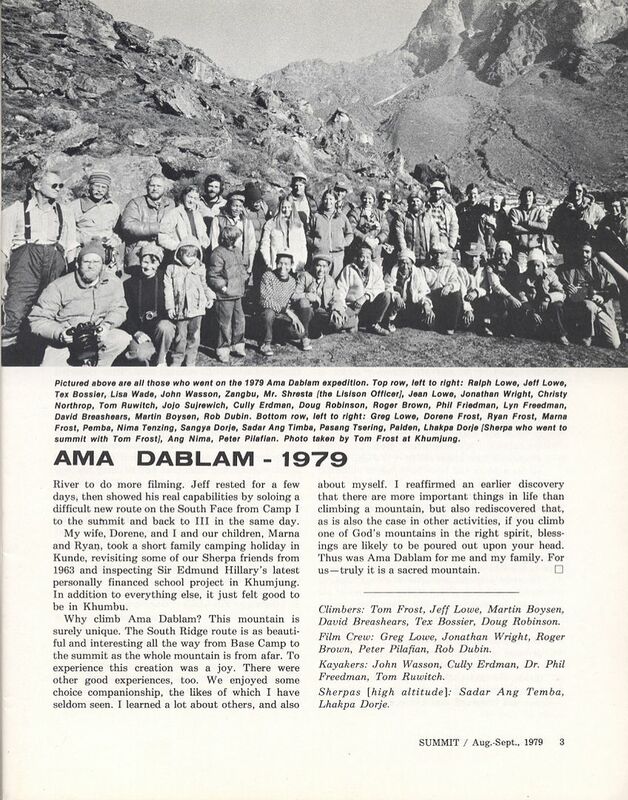 Do you recall what year the mountain was closed to climbing? The classic Tom Frost shot of Jeff looking stud! And Steve, Tom Frost can make anyone look like a stud, when all the while the real stud is behind the lens. Thanks; it's an honour to show them and get comments from you guys! Steve: No, I do not recall when it was closed. 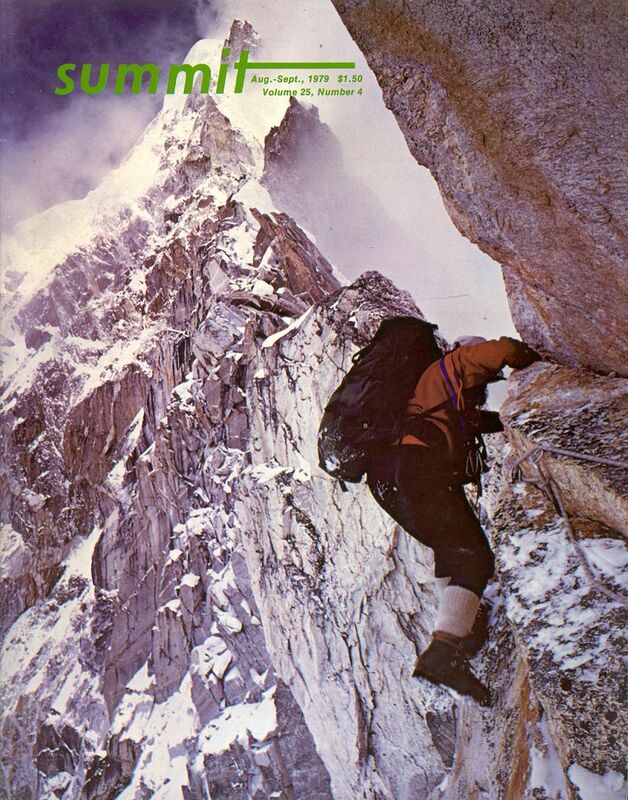 Maybe Jello would know: The 1979 was the first expedition since the 1961, where Bishop and Hillary et al fell into bad standing due to their slightly illegal climb. 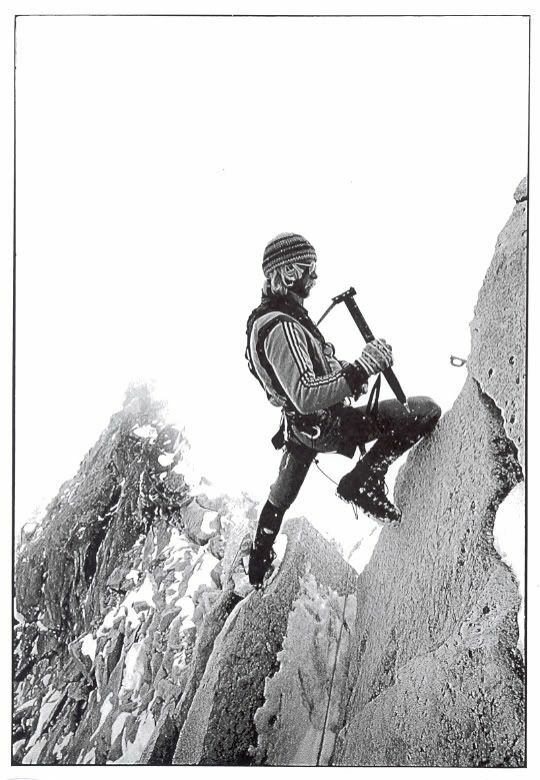 As it was climbed regular after the Frost-Lowe et al ascent, maybe it was before 79? 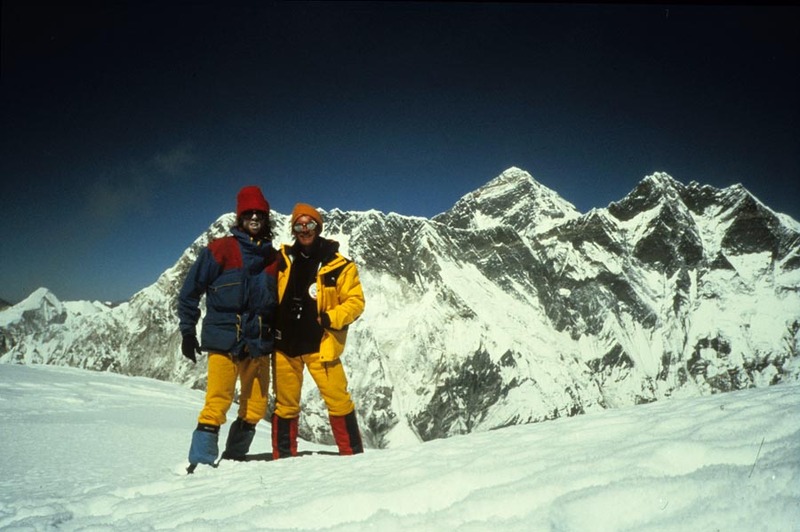 With a slight drift I can mention that one hour ago I said farewell to wellknown climbing sherpas Pertemba Sherpa (of SWF-Everest fame) and multi-multi everester (and recently Ama D) Phurba Tashi Sherpa, who stayed in my flat during the Summiteers Summit here in Copenhagen. Nice guys, lots of stories! Bumping this agin for great content. 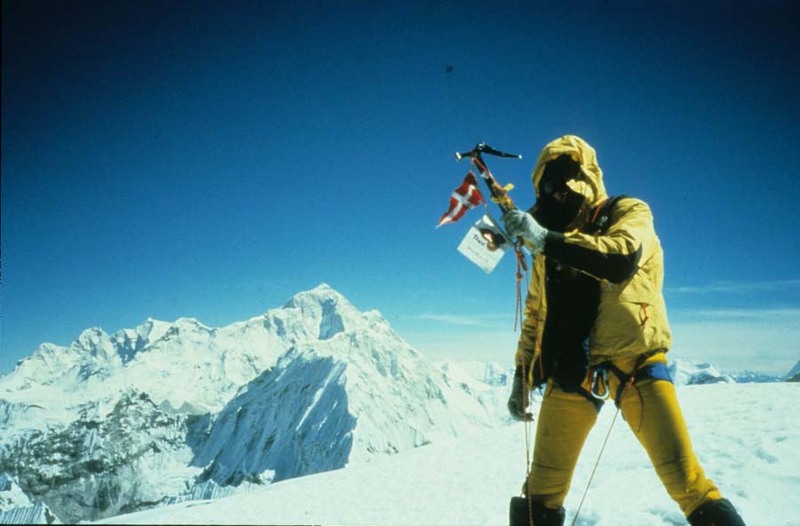 BTW - Is there anypone else here who wishes we could get Tom Frost to get on SuperTopo and tell us some storiies? He's a great guy, super photographer, and gear designer extaordinaire! Tom isn't likely to post here as he really isn't a computer entertained kind of guy. I can easily get questions answered for you as I am currently his biographer and talk with him on the phone several times a week. If you want to ask him questions about his experiences in person then come to the gathering in celebration of the 50th anniversary of the FA of the Salathe Wall happening in Yosemite Valley On October 22. Tom makes himself available to everyone at these special events. Since he stopped doing slideshows at the Lodge this is your golden opportunity to get a hit of the man if you desire to do so. He is totally service oriented in his personal philosophy and isn't inclined to leave any gathering before all questions are answered. 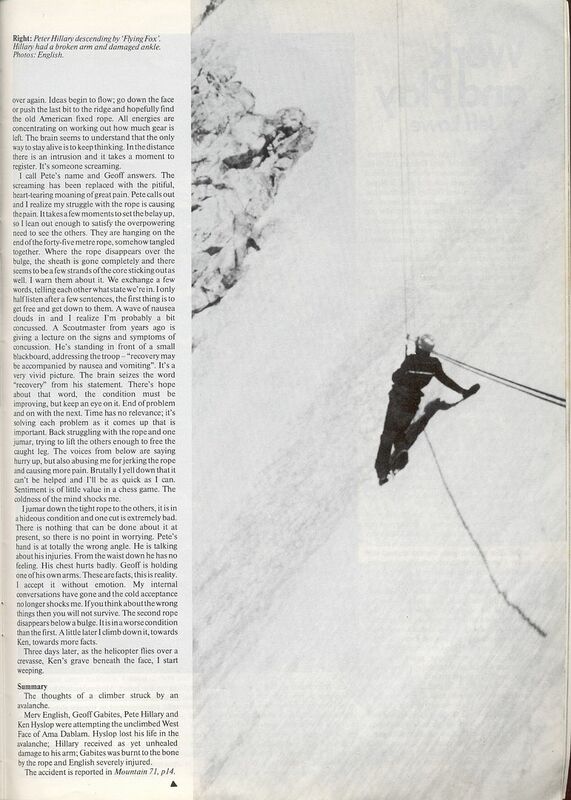 Ask Tom to tell you the story behind his photo of Harlin on the Aiguille Du Fou in '63. Whose idea was it for Harlin to "walk the plank?" 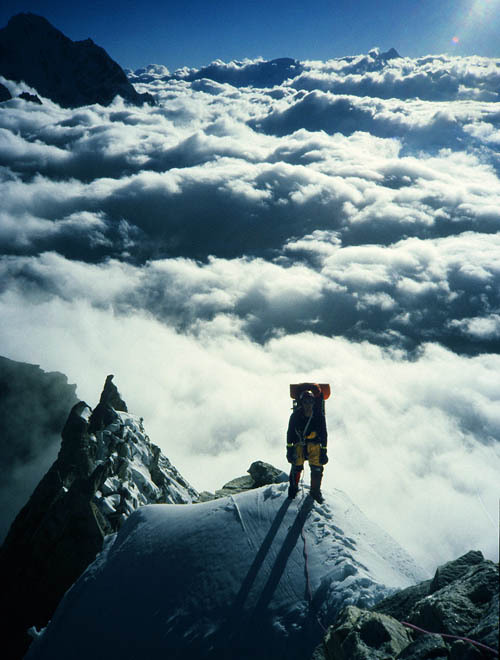 Still one of my favorite alpine photos. Little known fact- Tom Frost engineered the Hummingbird tools and the Footfangs working with Greg and Jeff. that's incredibly cool. I've fantasized about climbing the West Face in winter. Such crisp history,delightful to read!Thanks! How cool must it have been for Jeff's father, Ralph, to get to see his son climb and lead so brilliantly! This was a family affair. 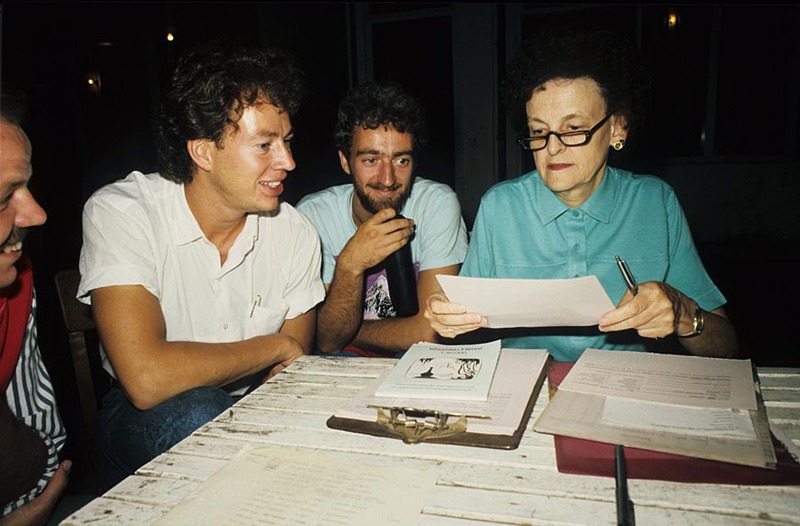 Once Tom figured out that the 5K that he was going to make on the expedition was enough to cover his family's expenses, he invited them along and encouraged the rest of the expedition to do the same. 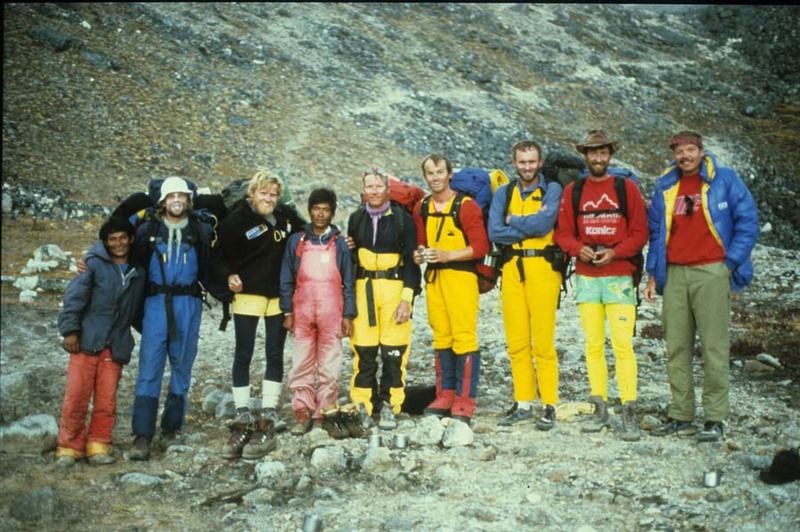 The atmosphere which resulted was unique for an expedition and made the experience even richer for the participants. This amazing thread is thoroughly Groovy. I will return to this many times. There are no shameful bumps of this thread. Dear lord, save us from wow really? 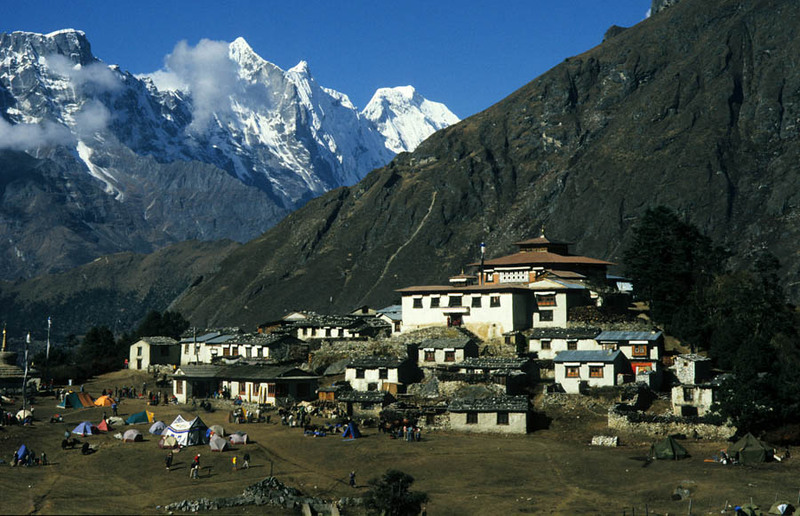 The family atmosphere added so much; really it became the defining tone of basecamp and beyond. 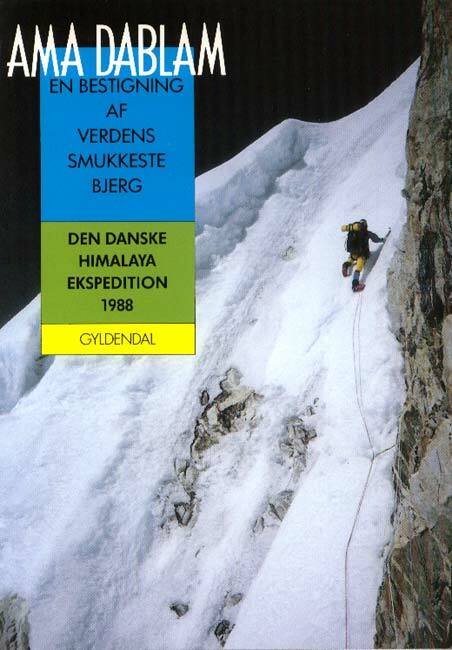 This is the only trip I've been on that had the classic Himalayan expedition form, but it felt entirely different from all the accounts you read where the expedition falls victim to warring factions and raw ambition. We had none of that, laughed a lot instead. 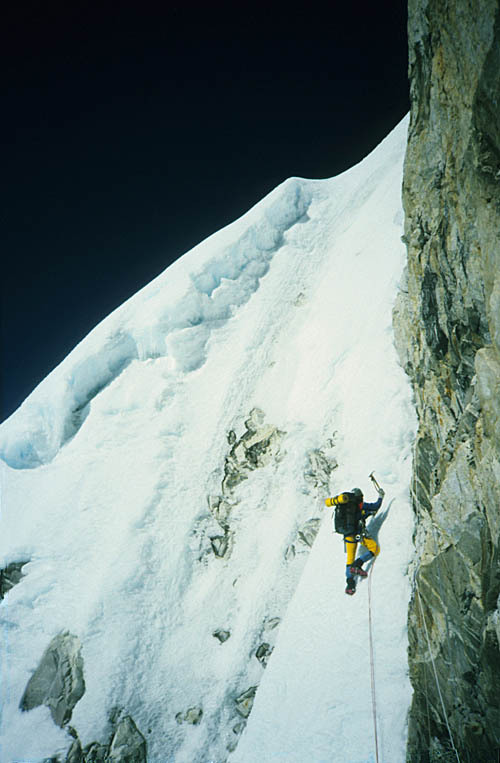 Everybody felt competent within themselves and trusted one another, and there wasn't much question that we could do the climb. The bigger goal was making a film anyway, and that felt very doable too. The weather was basically perfect and the climbing was classic alpine, up to 5.8 on good granite, patches of 50-degree water ice mixed in among bomber steirofoam snow climbing in a breathtaking setting. 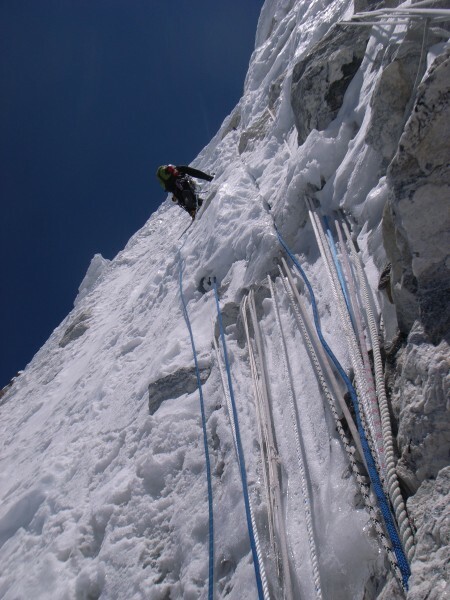 We got up every day and went climbing in inspiring conditions. At the end of a month we had put 10 people on top -- all but one of those who wanted to -- we had the makings of a good film in the bag, we were all still friends and there had never been so much as a raised voice the whole trip. Ralph Lowe was amazing. 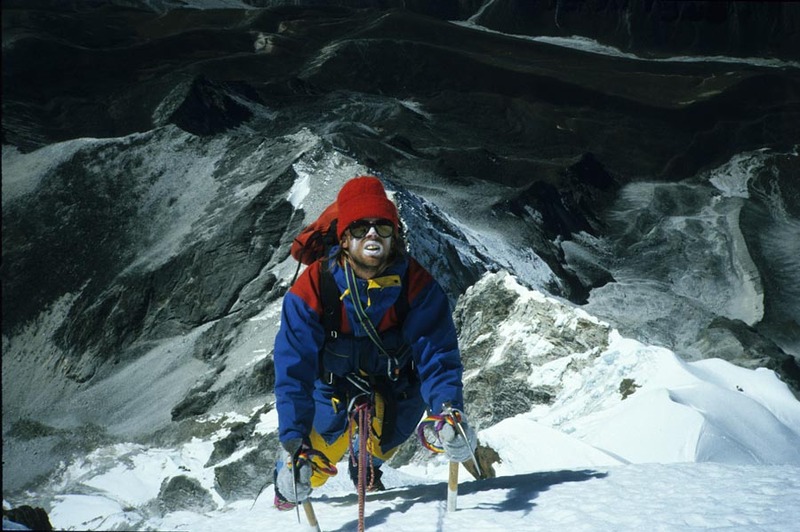 He was under severe warning about a heart attack and had gotten reluctant permission from his doctor to go no higher than basecamp at 15,000 feet. Yet one day he wandered into Camp I at 19,000 feet. 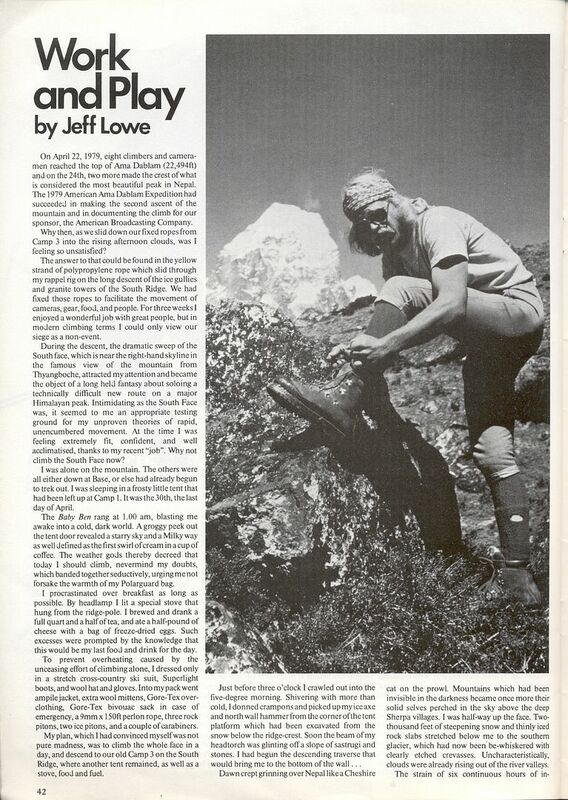 After hearing Jeff Lowe's stories of being taken to climb the Grand as a young boy, it came full circle to meet his Dad who had made that happen. Thanks for weighing in Doug! Tom has remarked several times to me about how good you are with kids and how much easier that made it for Marna and Ryan to settle in and have a memorable time in Base Camp. 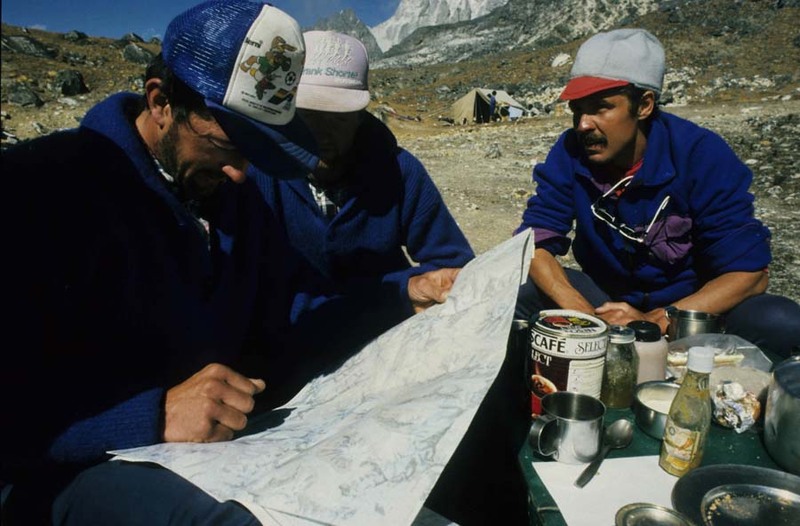 The Sherpas put major emphasis on family so they must have really been grooving on the scene when they could relate so easily to what this particular expedition was about. 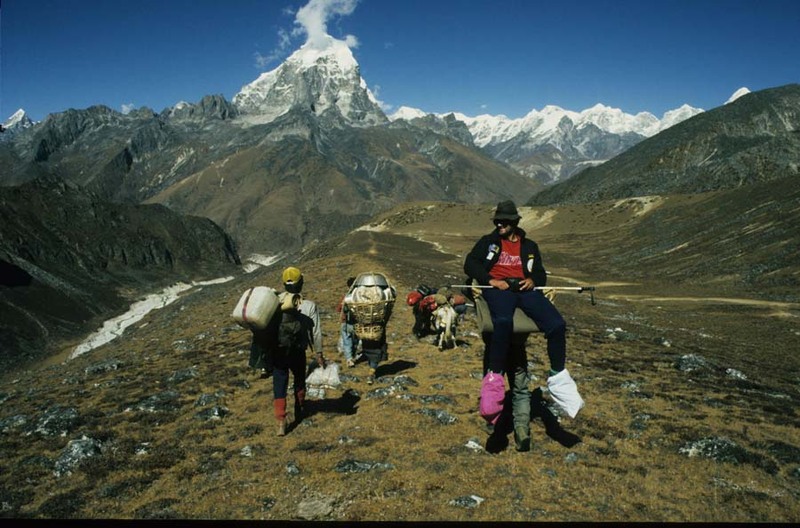 Tom's account in the AAJ talks about the Sherpas ducking out to check in down in their own villages making their work that much smoother at home. Dreamy expedition for everyone climbing the neighborhood mountain! Had the film assignment been less sports and more culturally oriented the whole experience could have been captured to yield an astounding documentary. Hard to not see the missed opportunity on this one! What about this rumor: the regulation-size green army duffle chockfull of Reese's peanut butter cups, Snickers, Hershey bars, Baby Ruths, Jolly Ranchers, who can say what other Western delights? It was kept under lock and key 24/7 by some weak-willed individual. Could it have been Bossier? Super-agent Rodney Korich? Who can say. There were conniving children afoot, not to mention sly Sherpas. 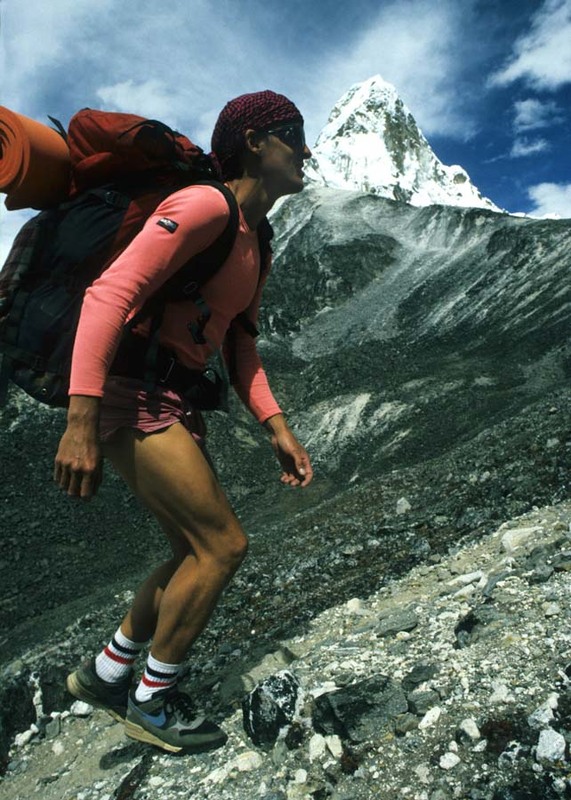 Doug's recollections are nice but when the duffle dipped toward empty well ahead of schedule, oh, the fabric of the expedition was tested indeed. Who is your source for all these important rumors? I just got back 3 days ago, From an alpine style attempt of this incredible mountain. Early season mega monsoon weather with tons of snow shut down the climbing between camp 1 and camp 3. This is one of the most beautiful climbs I have ever seen! I'm on my way back to alaska to work and save up for round 2! In a trance because of this mountain.. Sorry to hear you got snowed out, Tyler. Our experience was radically different: sunbathing naked at Camp II (19,600') pretty much any morning up there. 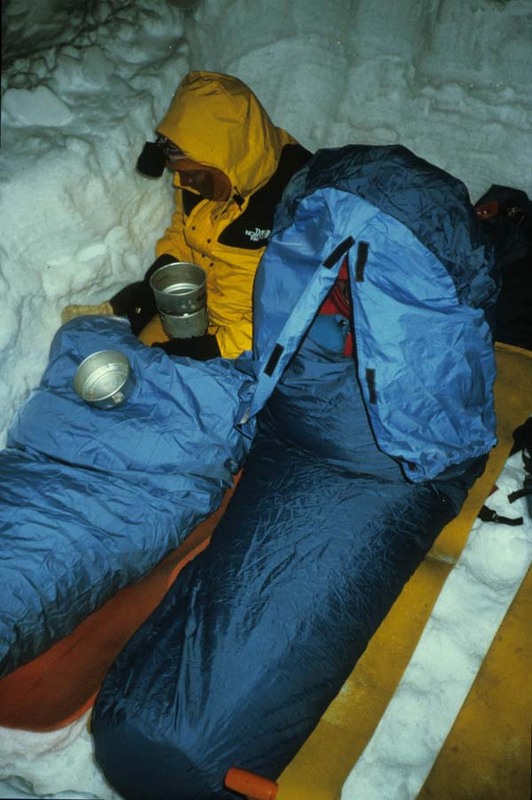 The camp was on an ice shelf fifty feet down off the east side of the ridge. 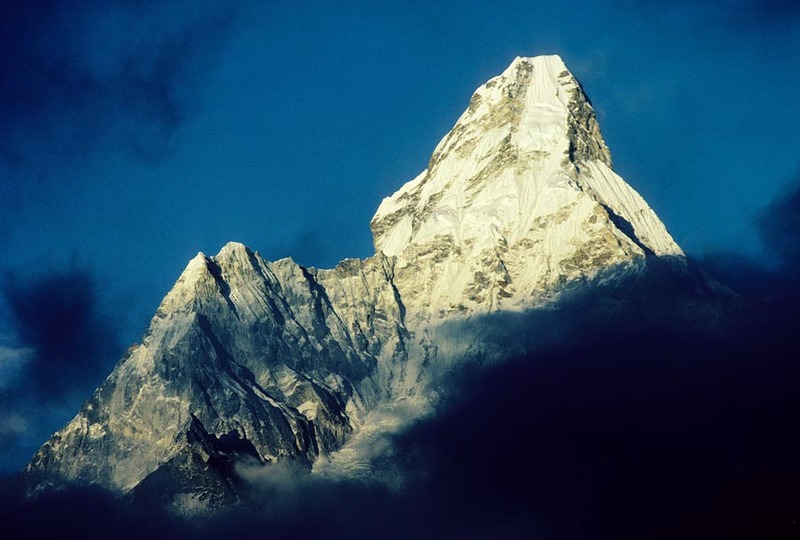 You'd pull your foam pad out of the tent, stretch it across the ice and up the granite for a backrest, look straight off at the sunrise over the Mingbo La at about the same elevation, and roll up some of the local ganja. 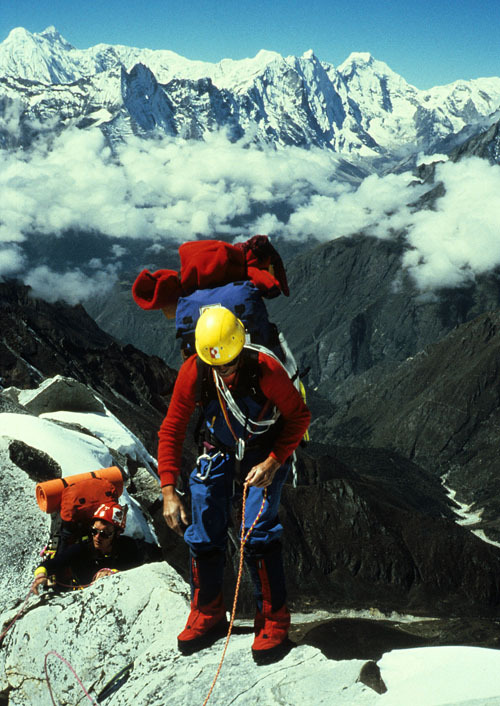 Then suit up and carry a load and it would be snowing lightly as we came back down the fixed ropes in the afternoon.